Toyota world’s largest, most reliable and the oldest Japanese automobile manufacturer provided automobile market with a very elegant MPV i.e. Multi Purpose Van in the year 1997. 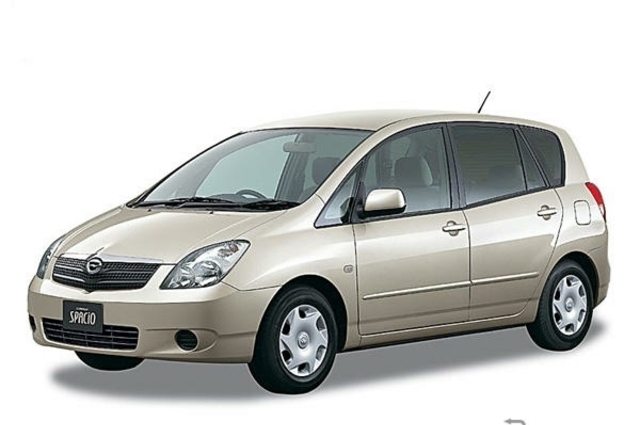 Toyota Spacio was technically similar to Toyota Avensis but the exterior and body designing was very much different. Toyota Spacio was sold in the international market by the name of Corolla Verso. Its first generation E110 remained in the market for four years till 2001. The second generation was launched in 2001, it has 4-speed automatic transmission and its chassis was E120. Its third generation could be said as its designer version. It was elegantly designed and its exterior was very catchy. It was launched in Denmark in 2004 by the name of Toyota Sports van and Toyota Verso in the Netherlands. The third generation was particularly designed for the European market where it was proved to be a great success of Toyota Company. The third generation carried chassis of AR10. Its dimensions were Wheel-base 2750mm, Length 4360mm, width 1770mm and Height is 1620mm. Toyota Spacio has a very unique platform. If you are interested in buying Toyota Spacio so you can also consider the option of used Spacio. Currently, it could be really heavy on your pocket to buy a new Toyota Spacio but you can buy this favourite car at an economical price according to your own budget. Car Junction is the world’s largest used automobile seller. Our fully trained and professionally dedicated online customer service representatives are available 24/7 to assist you in the process of buying a suitable and economical car for you. Car Junction totally considers customer’s comfort that is the only reason since last 2 decades car Junction hold very good reputation among its customers for supplying extra-ordinary vehicles. We provide value for money.